Ganga : I’m a Keralite - India, Civil Engineer, living in Doha- Qatar, with my husband and lovely little boy. Nithu's Kitchen : What are your interests apart from cooking? Ganga : I love to sing and read cook books. Nithu's Kitchen : Good to know you sing. Which song is your favourite? Ganga : I like all songs especially love melodious songs. Nithu's Kitchen : Where from you get your recipes? Ganga : From my aunt & Magazines. Nithu's Kitchen : When did you start to cook? Ganga : I started to cook after my school finals but took it serious only after my wedding. 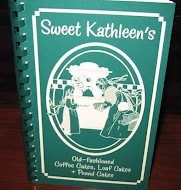 Nithu's Kitchen : Do you remember the first dish you made. Ganga : First dish I prepared was Vermicelli kheer(sweet). 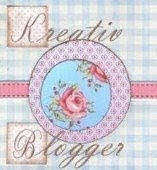 Nithu's Kitchen : What made you to start a blog. 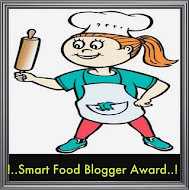 Ganga : The thought of sharing a good food to the World of taste made me to start a blog. Nithu's Kitchen : Which cuisine does your family love to eat. Nithu's Kitchen : What recipe do you have today to share with us. Nithu's Kitchen : Why did you select this today? Ganga : Sago Vada is son's favorite snack. • Soak sago in water for 10 minutes. • Heat a tsp of oil and fry rava till light brown. • Mix the rava , Sago and yogurt.. Add all other ingredients and mix well with hand. • Leave the mixture for 15 minutes. • If the mixture is too thick, add a little water to give it the right consistency. • Making donut shapes with the batter and fry till golden color. Nithu's Kitchen : Thank you so much Ganga. Friends, Hope you all love Ganga's Sago Vada. 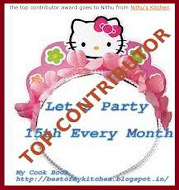 If you are interested to be featured as Nithu's Kitchen's guest, please do mail me at nithuskitchen@gmail.com. Thanks Nithu for introducing another new blogger. 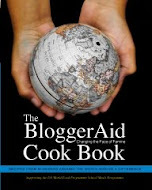 Will surely go and visit her blog. The Sago-rava vada sounds yummy !!! How are you? Nice to know about ganga ! and I really like this vadas..gotta make it soon ! Thank you for introducing Ganga to us Nithu. Ganga ,your sago vadas look very crispy and delicious.Thank you for sharing it with us. I've tried sago vada but this recipe seems to be different.. will try it soon!! Thanks Nithu for introducing Ganga. Lovely vadas and an easy recipe too. Nice to know about Ganga. Vada looks yummy and delicious. Hey Ganga, nice to know abt you..